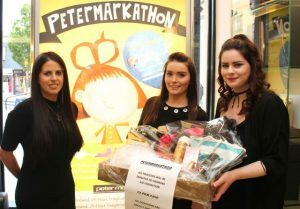 THE people at Peter Mark hair salon in Tralee are looking forward to pyjama parties, bake sales and fancy dress fun next weekend for their Petermarkathon fundraiser. The team at Abbey Court will join their colleagues all over the country from Thursday, October 27 to Saturday, October 29 to raise funds for Women’s Aid and specifically contribute to keeping their much needed 24 hour helpline going, providing support to women and children in crisis. Peter Mark Tralee manager, Michelle O’Shea, is looking forward to welcoming customers into the salon for the fun few days. “Thursday we’re going to have a pyjama day and a bake sale with lots of nice treats. We’re going to have in-house games with prizes and raffles. On Friday we’re having a work-out day and then on Saturday we’re going to have a fancy dress, with prizes for the best costume among staff. It’s a great cause and hopefully we’ll raise a lot of money,” said Michelle. 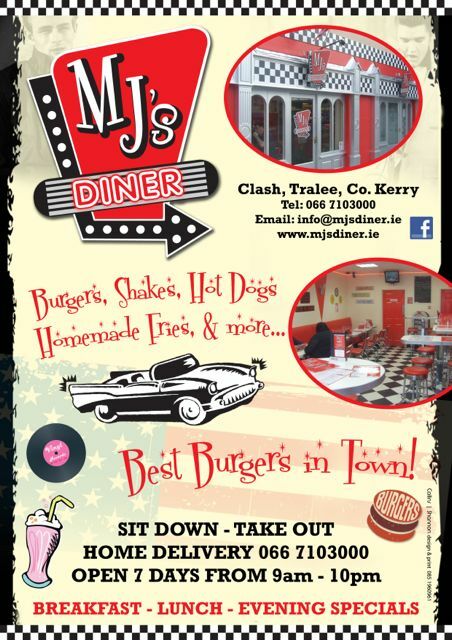 Last October, the Tralee store helped in raising €60,000 for the charity Aware through the party weekend and they hope the public will be just as generous this year. Women’s Aid is the leading domestic violence organisation in the Republic of Ireland which runs the only national, free, domestic violence 24-Hour Helpline with a text service for deaf women and an interpretation service which provides support to women in over 170 languages. In 2016, despite a funding cut of 20%, Women’s Aid expanded their National Helpline to become a 24-hour service. Each day, they answer approximately 41 calls from women experiencing abuse from current or former husbands, partners and boyfriends. The National Helpline is free of charge to callers in the Republic of Ireland. See www.petermark.ie. For more information about Women’s Aid, see www.womensaid.ie.